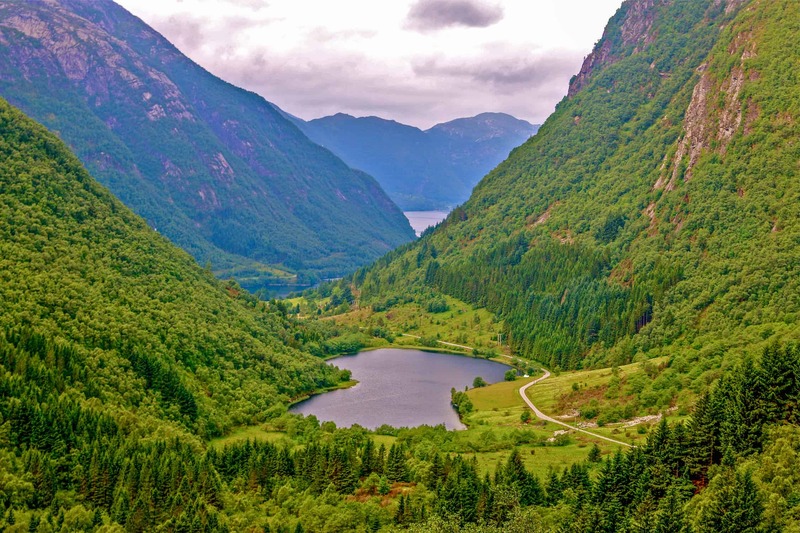 Summarizing a road trip through the Fjords of Norway is a slippery slope of clichéd superlatives. 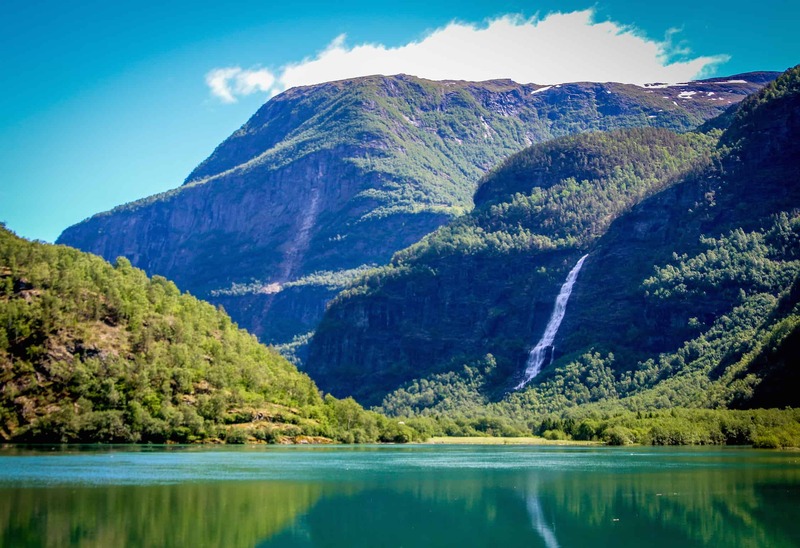 If you’ve used social media, you’ve likely seen stunning scenery from the Fjords of Norway in your Facebook or Instagram feed. With mountains, waterfalls, glacier, and brilliant blue-green water seemingly everywhere you turn, you don’t need to be a professional photographer in order to capture images that will give your friends a serious case of FOMO (fear of missing out). Pictures may be worth a thousand words, but for me Norway proved to be that rare place where pictures (or words, for that matter) simply cannot do it justice. There’s just no way to explain the unparalleled grandeur of it all, or how small you feel when surrounded by it on all sides. We began in Bergen, at the UNESCO World Heritage Site of Bryggen. The city was originally built there on the eastern side of the fjord in 1070. In the 14th to mid-16th century it was a prominent hotspot in the Hanseatic League‘s trading empire. Fires have ravaged the old town’s colorful wooden houses over the centuries, but 62 historic buildings remain, and others were rebuilt using traditional methods to preserve the main structure. Visit the Bryggen Museum for more in-depth historical background. We only had a few hours to explore Bryggen before making the 2-hour drive to Gulen, which included our first ferry crossing from Leirvåg to Sløvåg. 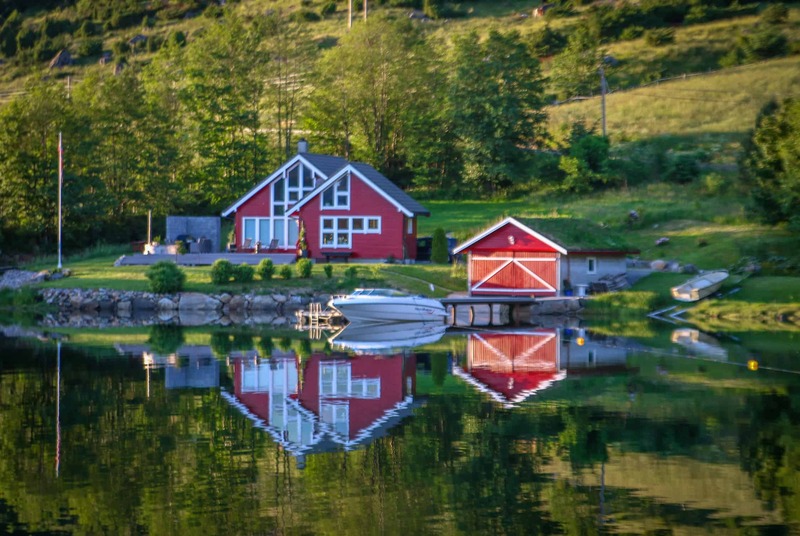 It also brought our first sightings of traditional Norwegian farmhouses and fjords, whose reflections seemed to glow with light at sunset. In Gulen we had our first experience with dry-suit Scuba diving (more on that in a future post), and visited a historic site that was the birthplace of Viking Democracy. From Gulen we drove to Solvorn along the Sognefjord, the largest of the 1,190 fjords of Norway and the second longest fjord in the world. Here, as we gamely navigated stomach-churning switchbacks, we truly felt as if we were in the realm of the gods. Known as the King of the Fjords, the emerald green Sognefjord is met by Norway’s largest glacier and its highest mountains. Breathtaking doesn’t even begin to do it justice. The next day we made our way to Jostedal Glacier National Park, for what would ultimately prove to be one of the most exhilarating adventures of our lives. 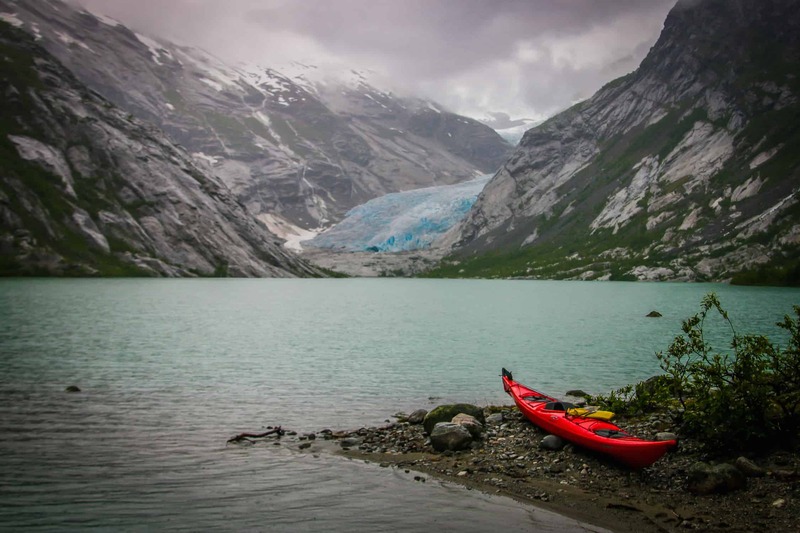 We kayaked across a lake to Nigardsbreen Glacier, an arm of Jostedalsbreen, the largest glacier in Europe. Then we strapped on our crampons, grabbed our ice axes, and proceeded to climb several hundred meters up it as sleet fell all around us. The view from the top, as you’ll see in our video, made the sweat (mine) and tears (Mary’s) worth it. The ferry ride from Solvorn to Urnes across the Lustrafjorden the next morning was decidedly more relaxing, with charming villages and majestic mountains as far as the eye could see. 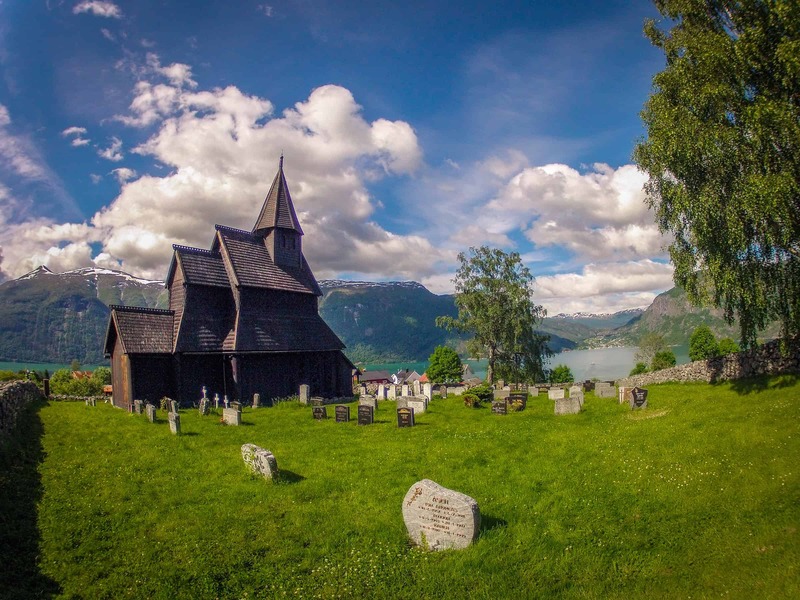 Our next stop was Urnes Stave Church, which was built on a hill in Sogn og Fjordane county nearly 900 years ago. These elaborately detailed wooden churches date back to medieval times, and provide a historical link between the ancient art and architecture of the Viking Age and that of Christianity. We were granted special permission to film/photograph inside the church, which you can see in our video. Leaving Urnes, we drove the Sognefjellet National Tourist Route to Stryn, which takes you along the highest mountain pass in northern Europe. If you go straight through without stopping, it’s a 4-hour drive. 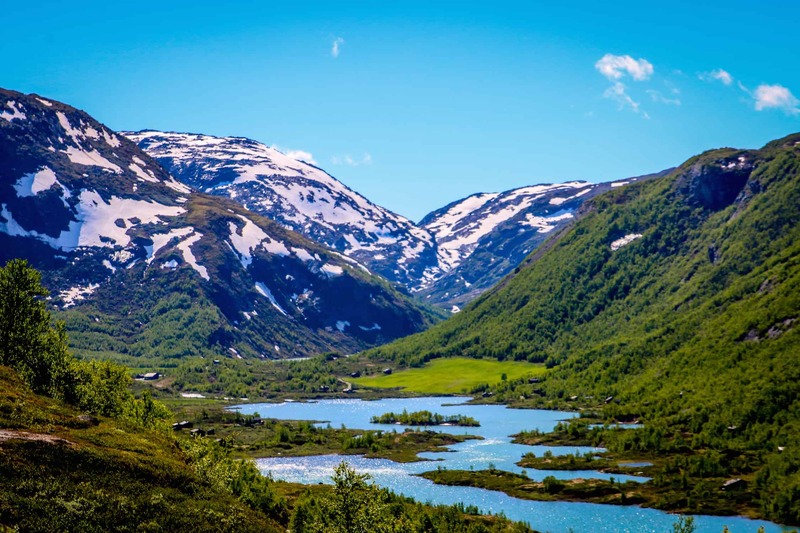 But instead we took a picnic lunch and stopped frequently to marvel at the changing dramatic landscapes, from the lush green scenery pictured above to the glacial ice and snow-capped peaks of the Jotunheimen Mountains. The 8-hour journey was easily the most beautiful drive we’ve ever done. We were supposed to spend our next-to-last day in Norway biking in the Lodalen Valley. But Arvid Otterdal, who co-owns the historic Visnes Hotel with his wife Marit, had other ideas. First he took us to the Stryn River, where it was the opening day of Salmon fishing season. Sadly, we didn’t have time to get a license, but we learned fly fishing techniques from some seasoned pros. Then he took us out on his boat on Hornindalsvatnet (the deepest lake in all of Europe), for a private tour of Otterdal, the tiny village in which he grew up. More on that in a future post! Our last full day in Norway proved bittersweet. The 3-hour drive from Hellesylt to Ålesund was rife with postcard-worthy views. 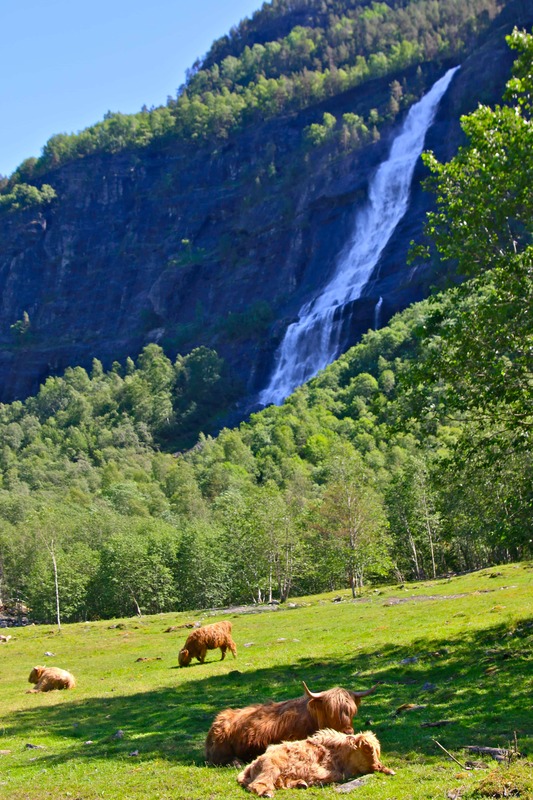 There were pastoral farmlands, grazing cattle, quaint rural houses, and mountainside waterfalls around every turn. We didn’t talk much, instead soaking in our final views of this remarkable countryside, savoring every moment. In Ålesund (a city known for its Art Nouveau architecture), we made our final stop at the open-air Sunnmøre Museum. 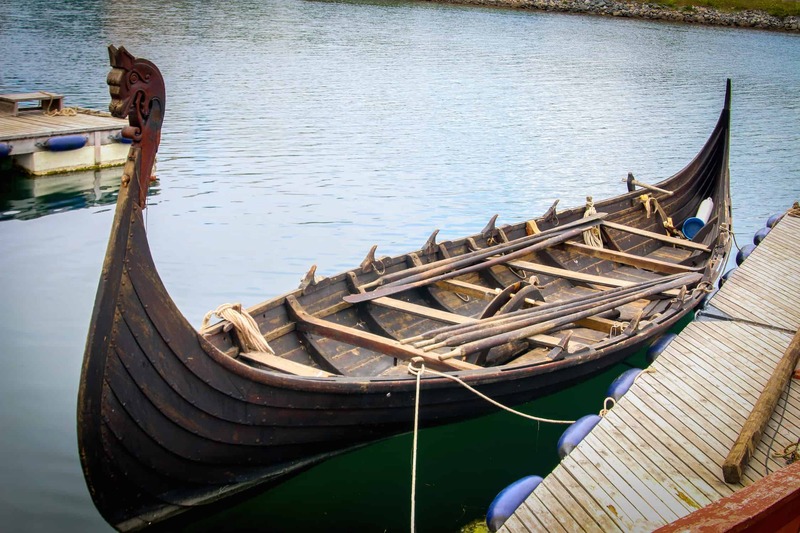 Its medieval houses and Viking ships dating back to 690 AD gave us a great taste of Norwegian history, whetting our appetites for return trips to visit Oslo and Norway’s Arctic north. 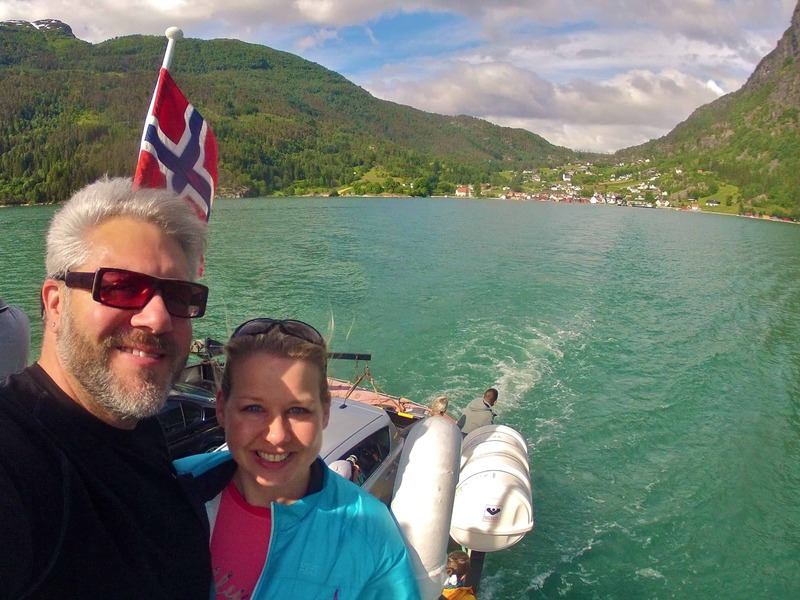 Our Fjords of Norway road trip was sponsored by Visit Norway and Fjord Norway. But we will never compromise our obligation to our readers. Our opinions remain our own.